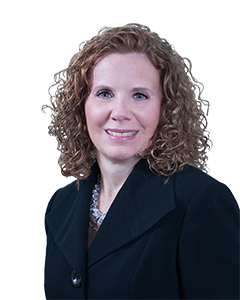 Ann Marie C. Petrey focuses on insurance coverage nationwide and brings to her clients a combination of experience in both law firms and within the insurance industry. She has in-depth experience in representing U.S. and international clients in sophisticated insurance and reinsurance matters from a legal, contract wording, claims management, risk management, and regulatory/compliance perspective. She started her career at an international law firm where her diverse practice included litigation and claims management as well as insurance, reinsurance, corporate, and regulatory matters. Ann Marie also worked at a U.S. commercial property and casualty insurer as a Claims Manager and Counsel. Thereafter, Ann Marie was Director of Contract Wording at a major reinsurance underwriting manager. She has also lectured on insurance-related topics for the American Conference Institute. New Jersey 1984 New York 1984 U.S.D.C. D.N.J. U.S.D.C. E.D.N.Y. U.S.D.C. S.D.N.Y.